Where but for Caravan Would I? If ever there was such a thing as heaven for a Caravan fan then surely it must have been on a chilly December evening in Chiswick when we found ourselves sinking a welcome and warming pint and dreaming of the Legends concert to come. OK it was a lot of money. I thought of my children’s inheritance; I thought of my pension; and then I thought about the band and of course I had to have one – a ticket that is. You only live once. Just a couple of days earlier it had all seemed a very distant prospect with the entire country blanketed in snow and no one going anywhere. Thank goodness the concert was postponed to the Saturday but even then some heroic last-minute efforts were made to get there Pye descending from his Cairngorms lair by magic its seems with precious little chance to practice. How would it all go we wondered as we wandered into the studios. We needn’t have worried. From the moment we stepped through the doors all our cares seemed to melt away. Maybe it was the lovely warm welcome from Annika and the excellent Metropolis people in the superbly converted Powerhouse building; maybe it was the seemingly endless glasses of champagne; maybe it was the friendly chat with Jim Leverton who just happened by. With a twinkle in his eye he reminded us that he wasn’t as young as he was and would often find himself tucked up in bed as early as 3 am these days! Suitably welcomed and warmed we relaxed and chatted and mixed with all the BJH fans in a spirit of convivial bonhomie. Fans of both bands had come from unbelievably far and wide. We’d only just expressed our admiration for Jim down from deepest Yorkshire for the day when we came across 2 fans from Sweden and then were knocked away completely by the couple straight in from Brazil. The Copacabana Chiswick High Road in the winter is not but there was no doubting the warm and loving passion in the eyes of our Latin friends. Then the call came and we were on our way. It almost had the feeling of a religious experience as we packed into the tiny studio; really small but with an electric and intimate atmosphere. Geoff said he loved it – that it felt like the old Marquee days but we were warned we might be there a long time if the boys had to retake. We needn’t have worried. The boys trooped in to deafening applause preceded wonderfully and poignantly by Richard who took the biggest cheer of the night as he took his place in the corner and hardly pausing to breathe they launched straightaway into a brilliant opening ‘Memory Lain’ and just drove right on through a memorable and storming set to an awesome ‘Nine Feet Underground’ to finish. The set was tight superbly played without the slightest hint of a retake despite the minimal practice and a couple of excellent brand new numbers. The quality musicianship was there for all to see and it was pleasing to see BJH devotees tapping along in appreciation. We needn’t have worried about percussion either with Mark slotting in seamlessly with tremendous energy and enthusiasm as if he had been born to the role and with some interesting new takes on the music too ably supported by Richard who showed he’s lost none of his rhythm and timing. Doug Boyle for all his excellence was really not missed at all with Pye showing us just why he was always one of the best guitarists around and Geoff showing a remarkable dexterity on the instrument too. Yes he was on his usual top form on flute viola spoons and of course the magic shears on ‘Hello Hello’ but guitar? He never ceases to amaze. With Jim as polished as ever on bass and vocals and Jan in splendidly dynamic form on keyboards it was a performance to remember and we can only await the DVD and the TV show with eager anticipation. For those who couldn’t make it on the day you will not be disappointed. The excellent programme saw many old favourites especially a superb rendition of ‘Golf Girl’ and the latest couple of songs showed that Pye really has not lost his touch. The ‘Breakfast Item’ numbers were really well done too. The atmosphere just warmed and warmed and became more and more electric as they went through an excellent selection of music spanning all four decades. There was no doubt that the band was knocked out by the response and it was quite clear that they were loving the whole experience just as much as we were. All too soon we were being ushered out but the champagne was soon flowing again and before we knew it the boys were up and mingling and it was a pleasure to meet them and chat and realise just what a bunch of top gents they really are. Pye questioned our sanity when we told him we had followed the band for 40 years and more whilst clearly loving every moment and then made everyone’s evening by introducing us to the original ‘Golf Girl’ Pat herself looking just as gorgeous as she must have done when standing on that golf course all those years ago. A wonderful time was had by all then and was later followed by an excellent set by BJH much appreciated by Caravan fans. Thank you then to Caravan for giving us such a wonderful time of our lives and to Martin for all his devoted work. The talk is already of the boys getting out on Tour again and with the 40th Anniversary re-issue of ‘Grey and Pink’ to come we really just can’t wait. 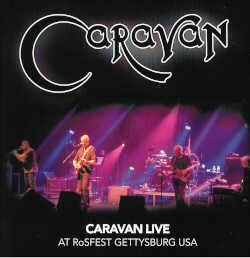 This entry was posted in Reviews and tagged 2010, Legends concert on December 18, 2010 by caravan. many thanks for a great review Pat . It was an unforgettable night . peolpe came from as far away as Brazil for this! Great review I was there too right in front of Geoffrey and Pye. Caravan were superb and I can’t wait for the TV and DVD to be released. What a thoroughly nice bunch of chaps they are I managed to get to talk to all the band whom I have been a great admirer now for 36 years. 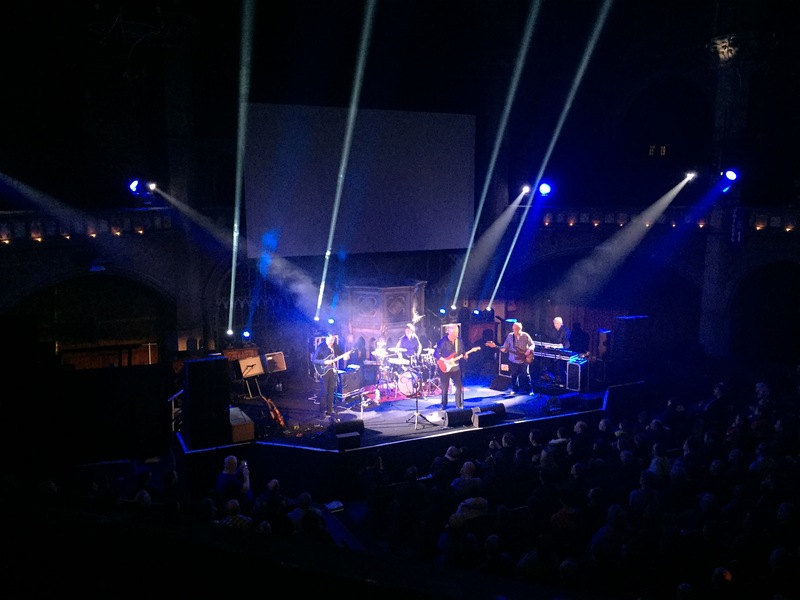 I echo the RIP for Woolly at least Barclay James Harvest gave a great performance and did justice to the master of the mellotron in his absence. My thoughts are with the band and Woolly’s partner at this sad time. My pleasure. Hope I did the night justice. It was just awesome. So sorry to hear about Woolly though. I had bought my ticket for the JLBJH show but was delighted when the organisers added Caravan who have been one of my very favourite bands since I was 14 or 15. The Legends gig was the first time I’d seen Caravan since the tour supporting “The Album” – which incidentally I love (and not all Caravan fans will admit to that I’m sure). Anyway great gig and I hope they do more next year – on that form they are worth travelling many miles for! Imagine my delight in finding out that Caravan are playing in Edinburgh on 15th October ! It will be my birthday literally as well as metaphorically !! Happy days ! Looking forward to the DVD and the Anniversary Box set .